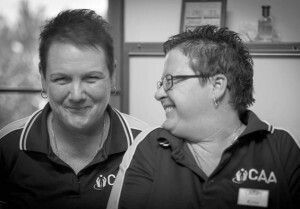 Chiropractic Assistants Kyna and Kathy love meeting new patients and helping them begin their chiropractic care. In certain situations, and in the professional judgment of the chiropractor, we sometimes make exceptions. It just depends on your unique situation. If chiropractic sounds promising, we encourage you to have a firsthand experience in our Rockingham practice. It’s easy to get started. Call Funnell Chiropractic today. Delivering outstanding chiropractic care for Rockingham, Safety Bay and Mandurah families with benefits to better health!